As the need for healthcare services grows, it’s a perfect time to become a Certified Nursing Assistant in Rhode Island. CNAs play a vital role in the delivery of direct care and meeting patients’ personal needs in hospitals, nursing homes, and home health care settings. They provide personal care and assistance to those who are injured, disabled, sick, or dependent in various health care facilities. Adults who plan to offer direct care services in a nursing home in Rhode Island must complete state-approved training and competency evaluation. Upon completion of the nursing assistant class and successful passage of the written and skills evaluation, adults will be added to the Rhode Island Nurse Aide Registry. A nurse aide’s primary role is to assist nurses with basic patient care. A career as a CNA might be a stepping stone to other professions in healthcare. It is a great way to begin a career as a licensed practical nurse or registered nurse. Cranston Adult Education trains and educates adults to provide patient care as a nursing assistant. The program delivers 100 hours of theory and practical instruction, which exceed the state’s requirements for both the classroom and clinical instruction. Students will cover 80 hours of lecture and lab skills onsite followed by 20 hours in a clinical setting. Instructors emphasize compassion and communicate, which are critical to success in patient care. Graduates are prepared to succeed on the state licensure exam. The duration of the program is 15 weeks and focuses primarily on the role of the CNA. Other topics for emphasis include anatomy and physiology, cultural diversity, patient care, rehabilitation and restorative services, infection control, safety, and hygiene. During the clinical experience, students will develop effective communication skills, perform the role of the CNA in a medical facility, and execute tasks effectively. Attendance is mandatory for successful completion of the program. Students who are absent for three or more classes must meet with the program director. Classes meet Tuesdays and Thursdays from 5:30 pm to 8:30 pm. The day schedule meets Tuesdays and Thursdays from 9:30 am to 12:30 pm. Tuition and books cost $800. One-third of the tuition is due at registration. Students must purchase stethoscope, scrubs, blood pressure cuff, and a watch with a second hand for the course. The Certified Nurse Aide program at AccessPoint is open only to students with a referral from a state agency. The curriculum blends instruction with personal support to produce highly competent health care professionals. Experienced instructors anatomy and physiology, medical terminology, vital signs, infection control, rehabilitation and restorative techniques, personal care, safety and emergency procedures, nutrition, and hospice care. Students will grow through thorough nursing assistant skills development, hands-on training, individualized support, and supervised clinical experiences in the field. Use the contact information provided below to learn more about the admissions process and the cost of training. Medical Skills Training Center offers a Rhode Island Department of Health accredited CNA program. The goal of the program is to provide students with the knowledge and skills needed to function as competent nursing assistants. MSTC offers lectures, skills, and video training onsite, family style environment, small and intimate classes, BLS for Healthcare Providers Certification offered onsite, professional instructors, and resume building workshops. The class size is limited to 15 students. The duration of the program is approximately 5 weeks including 4 weeks of theory and 3 days of clinical experience. Tuition costs $1,475 and includes the textbook, uniform scrubs, badge, notebook, workbook, PPE gown, me, pencil and highlight, stethoscope and blood pressure cuff, state licensing fee, and 2 hours of free tutoring. The Nursing Assistant Certificate program at Health Care Connections comprises of 80 hours of classroom training and 20 hours of clinical training. Additional hours are added as needed. The duration of the program is 8 to 10 weeks. The school admits new classes twice a year in the spring and fall. Classes meet two evening per week and Saturdays from 10:00 am to 2:00 pm. Course topics include body mechanics, preventing infection, bed making, introduction to health care, safety, nutrition, CPR basic emergency care, measuring vital signs, specimen collection, mental health, dementia, urinary, and bowel elimination. Graduates of the state-recognized program will be eligible to sit the state certification exam to become Certified Nursing Assistants. Tuition includes BCI check, uniform, stethoscope, gait belts, blood pressure cuff, CNA pin, CPR, materials, and books. It must be paid at the time of orientation. The Community College of Rhode Island hosts a nursing assistant program that is approved by the Rhode Island Department of Health. The program comprises of 125.5 hours of instruction: 95.5 hours in the classroom and lab and 32 hours of supervised patient care experiences in a clinical setting. Course topics include personal care skills, vital signs, resident rights, basic nursing skills, safety and emergency procedures, and rehabilitative services. Day classes begin every eight weeks and meet Monday and Wednesday from 9:00 am to 12:30 pm. The evening classes begin every 12 weeks and meet Tuesdays and Thursdays from 5:00 pm to 8:30 pm. Graduates will be scheduled to take the State Board exam at CCRI’s testing facility. Tuition costs $850 plus $5 for the non-refundable registration. The cost includes textbook, workbook, blood pressure cuff, stethoscope, and CD. The cost of the state licensure exam is not included. The nursing assistant program at 911Programs includes theory and clinical instruction in accordance with state guidelines. The duration of the program is approximately 29 days. Day and evening schedules are available. 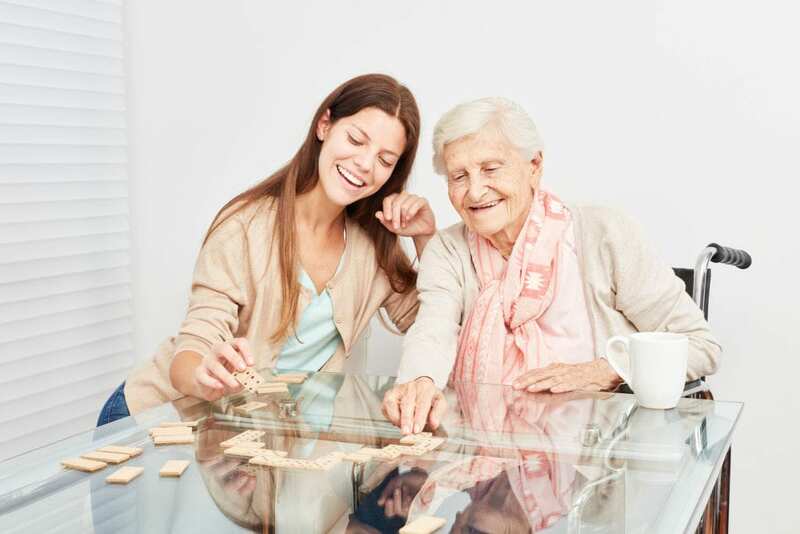 Examples of courses covered include vital signs, infection control, rehabilitation and restorative techniques, nutrition, personal care, safety and emergency, medical terminology, anatomy and physiology, dementia, and positioning and turning patients. Tuition costs $1000 and includes books, lab fees, and job readiness training. Additional costs will include uniform and professional liability insurance. Phenix Home Care has a legacy of excellence on the state exam producing a 95% or greater pass rate for all students. Program graduates will participate in review sessions to prepare for the state exam, and one-on-one tutoring is available for those who need it. The program comprises of theory and practical instruction, including 120 hours of hours in the classroom and 25 hours of clinical practicum. Classes are offered on an evening-only schedule. They meet 3 to 4 evenings a week from 5:00 pm to 9:00 pm. The clinical rotation requires completion of one evening shifts followed by two first shifts. In addition to nursing assistant instruction, students also receive CPR certification. Use the contact details below for information on the cost of tuition. The Certified Nursing Assistant program at Hitep RI meets the state requirements for nursing assistant training. Graduates are eligible to sit the state exam to become a Certified Nurse Aide and will receive CPR/BLS certification. The curriculum includes theory and hands-on training plus an internship where students provide direct patient care under the supervision of a licensed nurse. It covers 140 hours in total: 120 hours in the classroom and 20 hours of clinical practice at a skilled nursing facility. Course topics include basic nursing skills, restoration, restorative skills, mental health needs, communication, client rights, legal and ethical behavior, restorative skills, and collaboration. Use the contact information below for information on the tuition, schedule, and admission requirements.